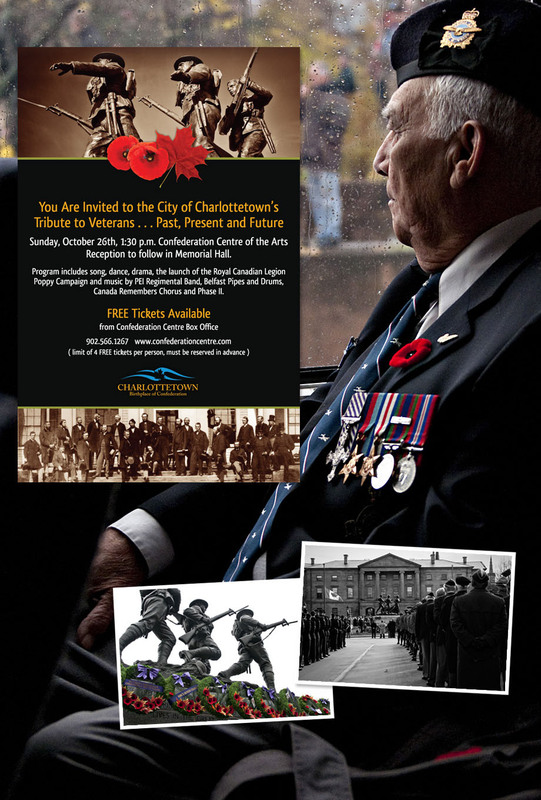 The City of Charlottetown presents a Veterans Tribute event on Sunday, October 26, 2014 at 1:30 PM in the Homburg Theatre of the Confederation Centre of the Arts. The program includes song, dance, music, drama and the launch of the Royal Canadian Legion Poppy Campaign. The tribute to veterans will commemorate the 100th anniversary of the beginning of the First World War and the 75th anniversary of the beginning of the Second World War at a special event in October. The PEI Regimental Band, Belfast Pipes and Drums and the Canada Remembers Chorus will be involved in the performance. A reception will be held in the Confederation Centre of the Arts Memorial Hall, which will include displays of wartime memorabilia. 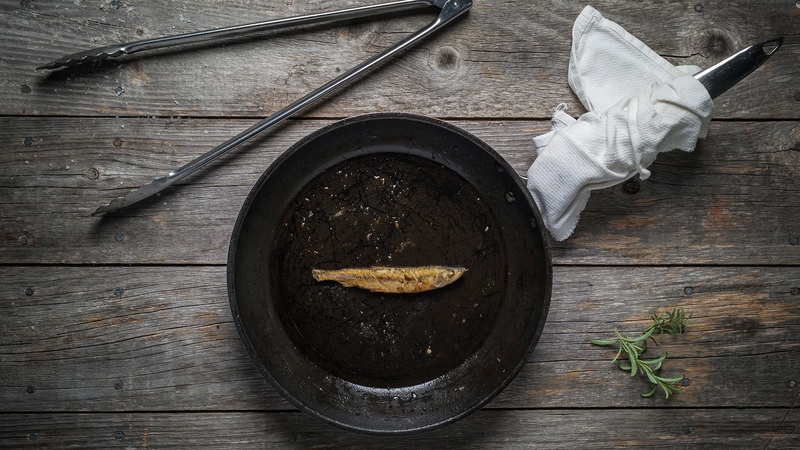 Food will be served by those in period costume and Phase II will provide entertainment. Tickets are free and can be ordered in advance through Confederation Centre Box Office at 902.566.1267. Availability is limited, reserve your tickets today! 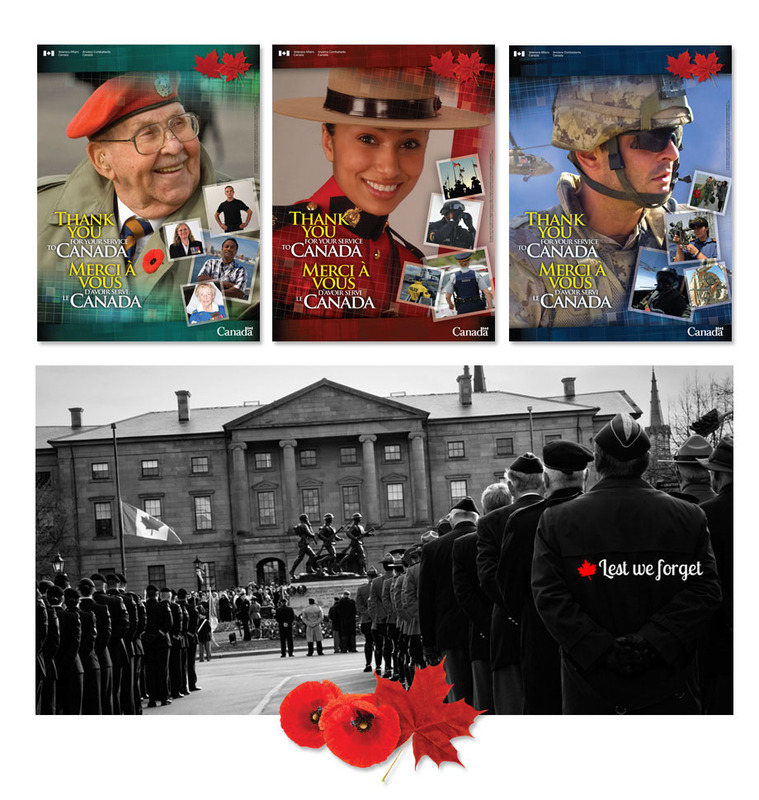 We are very grateful to our Veterans and consider it a privilege to work with the Department of Veteran Affairs whether we are designing for them or photographing Remembrance Day Ceremonies. Thank you.